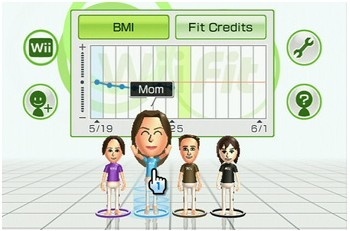 The Wii Games Summer 2010 event wasn't just about the cream of the crop of Wii gamers. There were still prizes to be won, even if you weren't a finalist. If you wandered into Wii Games Summer 2010 wondering why there was suddenly a giant tent in the Redondo Beach Marina parking lot, you could've indulged in a little competitive gaming yourself since you weren't going to be part of the National Championships. The Wii Games Summer 2010 event itself was a little E3, a little Chuck E Cheese/Dave & Busters and a little Nickelodeon Kid's Choice party. The Chuck E Cheese element was powered by a meta-competition where event-goers could earn coin stamps on their entrance badge by performing well in Wii Sports Resort, Wii Fit Plus, Punch Out and Just Dance and trading those "coins" for prizes. The prize counter, like the one you remember at D & B or Chuck E Cheese takes in worthless pieces of paper in exchange for minimally valuable Nintendo-themed trinkets. We saw hula hoops, Wii Remote sleeves and bizarre toys that didn't seem cool enough to be collected and not fun enough to play with right there on the floor. The economy was simple with three levels of prizes; it was earning the coins that was tough. You had to stand in line and wait your turn at the Wii Fit Plus kiosk, for example, and hopefully play well enough to earn a full complement of points so that you walked away from your turn with the maximum of three coins. Anything less and you were going out like a sucker. Oh yeah, and at various points, security guards kept from accessing the Coin Grab games because of "capacity issues." This was a bunch of hooey though, because the game areas stayed crowded whether the fake cops were letting people in or not. Outside of the Coin Grab there were a few other fun areas to explore, like Mario's Kid Zone that let your pre-schoolers play with life size plumbing pipes, breakable bricks and prize boxes. The smell from this area wasn't good at all, but it was neat to see real kids playing with real world video game objects because they didn't have stuff like that when we were kids.